All federal regulations are met by our staff, with regards to pre-employment, random, post-accident, and on-suspicion drug and alcohol screening. 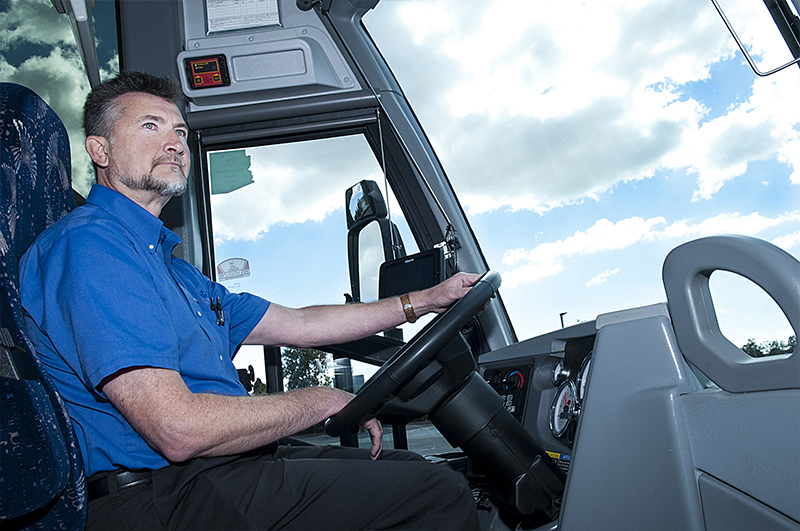 Each driver we employ is trained to become a school bus driver by a certified trainer from the California Department of Education who teaches them and prepares them for testing. The curriculum we use was developed by the CADOE and testing is administered by the CHP. This curriculum requires applicants to undergo 20 hours of classroom training and 20 hours of practical, behind-the-wheel training. After training is complete, applicants take a written and practical test administered by the CHP. 10 hours of recurrent training is required each year to maintain our drivers’ school bus certificate, and all drivers must retest every five years to renew their certificate. Our company has shuttle service has been granted the authority to operate in interstate commerce throughout the 48 contiguous United States by the US Department of Transportation (USDOT469591). We also hold a Class “A” Unrestricted Permit, granted by the California Public Utilities Commission (TCP6267A). This permit allows us to carry out intrastate operations throughout California. 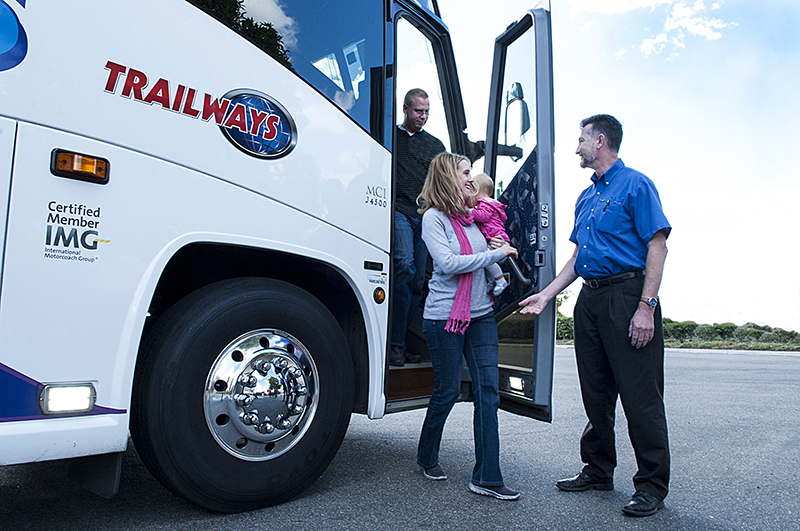 At Pacific Coachways Charter Services we also hold permits to operate in national parks and airports in California. We are insured by Lancer Insurance Company, a well-known leading insurance provider for our industry that only takes on clients with excellent safety records. They work with their clients to provide valuable safety information and help with loss prevention. Pacific Coachways also has its own maintenance department that is responsible for all repairs and preventative maintenance. As safety is a priority in our company, proper maintenance is vital to keep our vehicles running down the road in a safe manner. Drivers are required to perform daily pre and post trip inspection of their vehicles to ensure that everything is in working order. These inspections are then reported to dispatch by a daily inspection report and, if anything is found to be defective, it is reported to maintenance for repair. Preventative maintenance is an ongoing process at our company to ensure that breakdowns are minimal and serious safety issues are non-existent. All busses undergo a 45 day / 3,000 mile (whichever comes first) safety inspection. At this interval, critical safety components are inspected to ensure everything is in top condition. We also perform periodic maintenance on all vehicles at 6,000 / 12,000 / 24,000 / 48,000 mile intervals. Each interval has specific items that are checked and changed (i.e. fluids and filters); this would also include the wheelchair and air conditioning equipment. All these procedures are in place to ensure quality service and to help prevent service related problems. 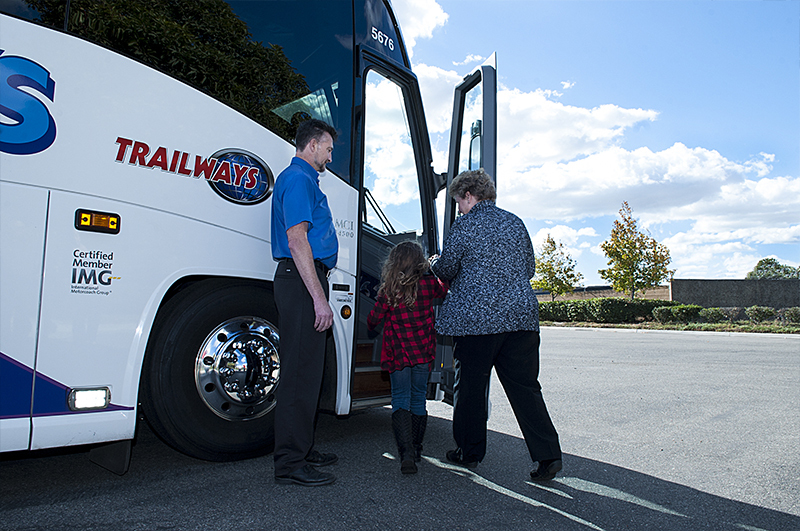 Call Us Today And Let Us Show You The Pacific Coachways Bus Charter Service Difference! Contact us in Garden Grove, California, to ask about our charter service’s driver selection and training program.